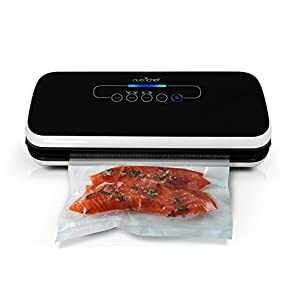 Tags: Food Preservation, food saver, food sealer, food sealing, food sealing machine, sealing machine, sous vide, sous vide cooking, sous vide machine, UH-VS140 Vacuum Sealer, vacuum sealer, Vacuum Sealing, Vacuum Sealing machine, Vacuum Sealing System. 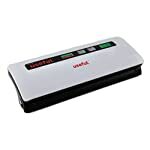 The Useful UH-VS140 Vacuum Sealer System is a perfect blend of professional quality and economic value – featuring fully automatic vacuum and sealing all in one without pump attachments. 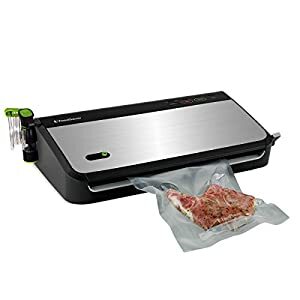 Vacuum sealing helps protect your food like chicken, beef, pork, fruits, vegetables, or anything perishable – keeps food for up to 5x longer than conventional storage. Utilizing a powerful piston pump, the Useful. 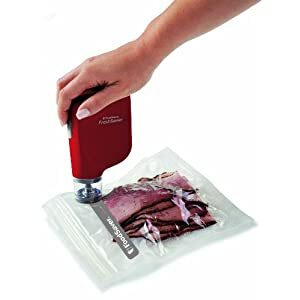 Vacuum Sealer allows for varying degrees of intensity and duration while drawing air out of the bags. 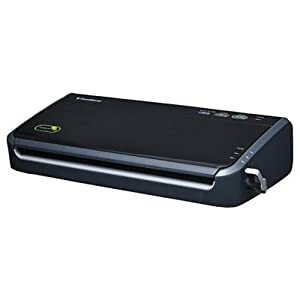 Proprietary “SEAL” button allows for instant sealing, while also functioning as an instant stop mechanism for protecting your most delicate items. 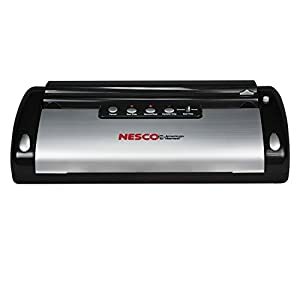 Intuitive design with vacuum chamber, recessed tray for catching food and liquids, and a efficient heat sealing strip. 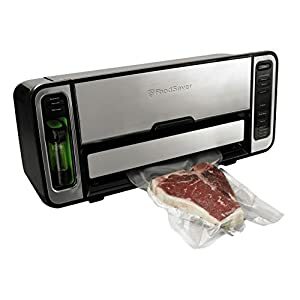 Perfect way to prevent spoilage, and rot. Comes with 5 Pieces of: 8.66″x11.81″ Bags, and 11″x15.75″ Bags. 2. Diagram display of each part of construction and all features. 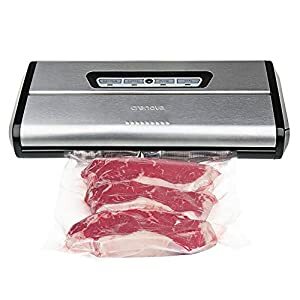 Fully Automatic Vacuum Sealing System, Strong Built in Piston Pump – No accessory required. 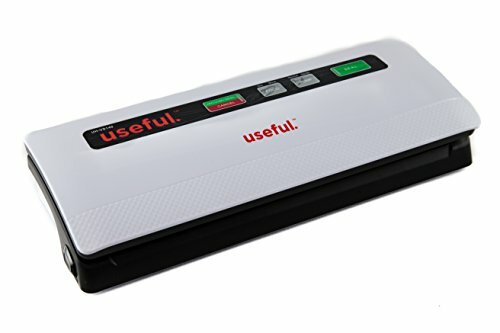 Gentle and Normal Vacuum Levels, Moist and Dry Sealing Modes. 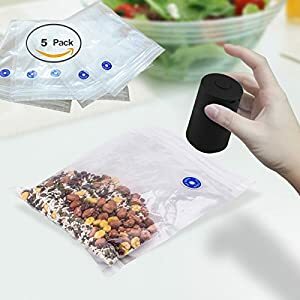 Suitable for all vacuum bags and bag rolls up to 12″ wide. Suitable for other vacuum canisters or air-tight vessels/accessories. 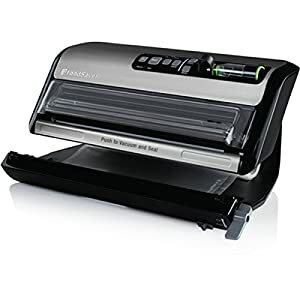 Commercial Quality Sealer – Keeps food fresh up to 5x longer than conventional methods.